The stage is set for the biggest and the most happening Holi Party in Mumbai where you can celebrate the multitude shades of life by splashing vivid shades of colors on your loved ones. Be there at the Jashn-E-Rang 2015 at Cidco Exhibition Centre in Mumbai on March, 6, 2015 at 10:00 am and witness the biggest party unfurl. The Holi Bash would go on up to 3:00 pm and would be a complete entertainer with ample fun-filled activities lined-up for the daylong holi celebration. The Holi bash would have everything that you would need to keep your energy levels high, ranging from the best of music to the most amazing and lip smacking food. Here is your chance to experience the extravaganza of Holi celebrations at a sprawling venue spread across an area of 5,000 sq mt. Soak yourself in the artificial pool, relish upon the lip-smacking snack or just shake a leg in the rain dance and have your share of fun. Jashn-E-Rang 2015 at Cidco Exhibition Centre is a Holi bash that promises to be the biggest of its kind in Navi-Mumbai and would have amazing Bollywood and House music by the best DJ’s to enhance the experience of the festival of colors. Enjoy the spirit of Holi and start of your weekend a day ahead at the stage of Cidco Exhibition Centre to celebrate the end of winter and the beginning of the spring season. Celebrity DJs and singers are performing live on stage. Live life to the full at Jashn-E-Rang 2015 with the dynamic celebrity DJ’s and singers’ performances and groove to the most entertaining and popular Puneri Dhol on this biggest Holi festival. So, hurry and join the fun by booking your passes now for the Jashn-E-Rang 2015 at Cidco Exhibition Centre, so that you do not miss out on the fun and excitement of celebrating Holi at the biggest and the most happening bash in the city. 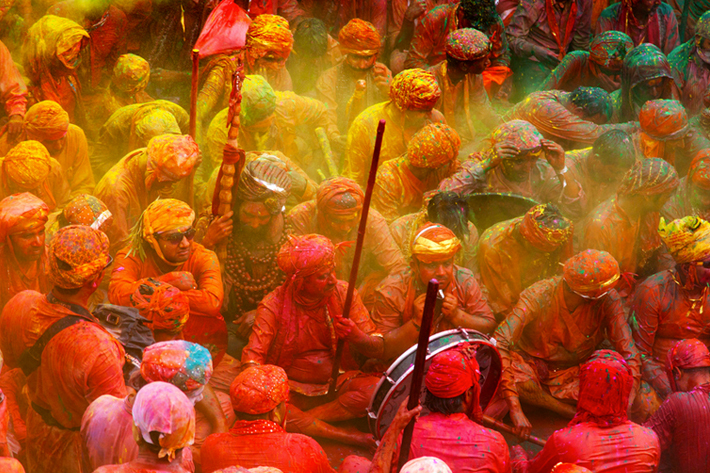 I need to book 30 Tickets for a corporate group (Expats) for the holi event. Thanks for expressing your interest in the Jashn-E-Rang 2015 Holi bash, the person concerned from our team would get in touch with you shortly and help you with the registration process. Please visit http://www.meraevents.com/event/jashnerang-2015&ucode=CWSI to book your passes online. Can u contact me.. I need to book 8 tickets.. I need to know all d major attractions..